Greenland Enterprises provides freelance sustainability services and consultations to organizations interested in promoting a strategic approach to sustainability. I bring a wealth of experience, expertise and passion to my work, and have an extensive global network that includes many of the world's leading sustainability professionals. I've worked with for-profit, non-profit, and government organizations in the education, energy, real estate, entertainment, and financial sectors. My approach is collaborative and open. In addition to consultations, contract work, and independent projects, I am available for speaking engagements, workshop facilitation, and writing projects and often partner with other organizations and individuals to accelerate progress towards sustainability. If you or your organization is interested in learning more, please contact me. Georges has been engaged in solutions-based, business-driven, whole-system approaches to sustainable development for over 10 years. He is a founding partner of Greenland Enterprises. Georges has worked extensively with Second Nature, building and supporting networks like the American College & University Presidents’ Climate Commitment (ACUPCC) and the Advancing Green Building in Higher Education initiative. The ACUPCC is a high-profile national initiative led by college and university presidents who have agreed to join together in creating a plan for climate neutrality in campus operations and promoting research and education on climate change and sustainability. More than 740 institutions have signed the ACUPCC since its inception, and nearly 700 are currently active in the network, publicly reporting on their progress and serving as powerful role models and catalysts for change throughout higher education and beyond. Previously, Georges was the Head of Market Intelligence for the Institutional Equities Group at LaBranche Financial Services in New York, where he was an NASD Series 86/87 licensed research analyst. Prior to Wall St., he was engaged with private equity deals working with eco-efficiency start-up companies and on residential and commercial real estate projects. He has worked with design-build firms on residential green building projects Vermont and Colorado, and is certified in Permaculture design. Georges is a Trustee of Stratleade Sustainability Education. He attended Phillips Exeter Academy, and The Mountain School of Milton Academy. He holds a B.A. 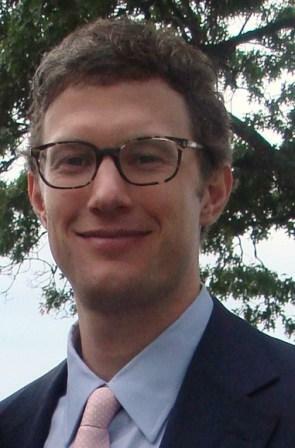 in History and Environmental Studies from Dartmouth College, and a Master of Strategic Leadership towards Sustainability from Blekinge Institute of Technology in Karlskrona, Sweden, where his thesis research focused on carbon reduction projects under the Kyoto Protocol and EU Emissions Trading Scheme. Greenland Enterprises was first conceptualized in 2001. Through its first iteration, Greenland Building, Georges built a straw bale house in Vermont and worked with Steeprock Joinery in Telluride, CO on various green building and renewable energy projects. Greenland Enterprises was re-established in 2006 by Georges and his wife Michelle, and developed a focus on education for sustainability, carrying out extensive work with the higher education sector. In 2013, Greenland Enterprises was again launched by Georges as a platform for consulting, freelance contract work, entrepreneurial projects, volunteering, and collaboration. “What can business learn about sustainability from higher ed?” | GreenBiz @edu, February 7, 2013. “After Five Warm and Stormy Years, Higher Ed Leaders Keep Commitment to Confront Climate Change” | New England Journal of Higher Education, May 21, 2012. “Second Nature Summit & the Presidents' Commitment” | Sustainability: The Journal of Record, August 2011. “Higher Education’s Role in Adapting to a Changing Climate” | Second Nature, November 2011. “The Commitment to Change” | College Planning & Management, April 2010. “Leadership for a Thriving, Sustainable World” | Fast Company, March 15, 2010. “The Campus as Living Laboratory” | Fast Company, March 5, 2010. “Making a Sustainability Perspective Second Nature in Education” | Fast Company, February 10, 2010. “Higher Education's Purpose: A Healthy, Just, and Sustainable Society” | Fast Company, January 28, 2010. “HFCs in Fire Protection Systems” | Kyoto Planet, 2009. “Co-Profiting” | Kyoto Planet, 2009. “Leading Profound Change: A Resource for Presidents and Chancellors” | Second Nature, 2009 . “The Educational Facilities Professional’s Practical Guide to Reducing the Campus Carbon Footprint” (Contributing APPA Thought Leader) | APPA, 2008. “Investing in Carbon Offset: Guidelines for ACUPCC Institutions” | Second Nature, 2008. “Organizational Development for Sustainability” | Kyoto Planet, 2008. “Guide to the Framework for Strategic Sustainable Development” | The Natural Step, 2008. “American College & University Presidents’ Climate Commitment (ACUPCC) Implementation Guide” | Second Nature, 2008. “From Clean Development to Strategic Sustainable Development: Strategic planning for the Clean Development Mechanism” | Master’s Thesis, Blekinge Institute of Technology, 2006.